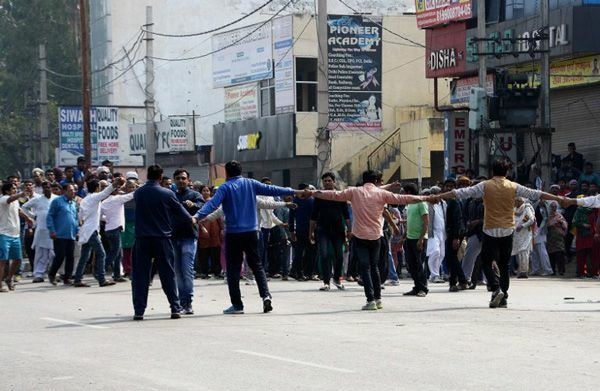 The violence in the Jat quota stir in Haryana has been revealed to have been conducted on caste lines, reports The Indian Express. Lives and property were both targeted on the basis of caste as the Jats turned their rage onto OBCs and outsiders, say the police. For instance, the only shop left standing at Chhavani Mohalla, Jhajjar, where the Jat protesters went on the rampage on Sunday, is Sri Om Hooda Electricals - a Jat-owned shop. The rest, all set on fire, belonged to Sainis and Nais. In Jhajjar main market, the only shop standing is Haryana Book Depot, owned by a Jat. The others, owned by Sainis and Punjabis, were set on fire on Saturday. Seven post-mortem examinations at the Jhajjar civil hospital show two identified as Sainis, one as Kumhar, one as Halwai and the other three Jats. The administration has apparently been asking for the castes of the dead. "It all started with Jats torching shops belonging to Punjabis and Sainis. In retaliation, the two communities, along with others, vandalised the Chhotu Ram dharamshala of the Jat community. Following this, the Jats attacked Chhavani Mohalla, burnt shops and killed people. We have never seen this kind of violence and divide among castes in Haryana. But normalcy is gradually being restored," said Jhajjar SP Sumit Kumar. Chhavani Mohalla residents said that the Jats arrived at about 1 pm on Sunday afternoon and identified the shops, vehicles and homes of Sainis, Nais and other backward castes before setting them ablaze. They carried country-made guns, axes, swords, iron rods, and Molotov cocktails. Saini man Shamlal Singh was allegedly hacked to death in front of his family. Kumhar man Virender, son of potter Om Prakash, had his head split open by an axe as he went through a Jat blockade close by. The three Jats who were killed were shot in an encounter with security personnel as they rampaged through Jhajjar on Saturday.